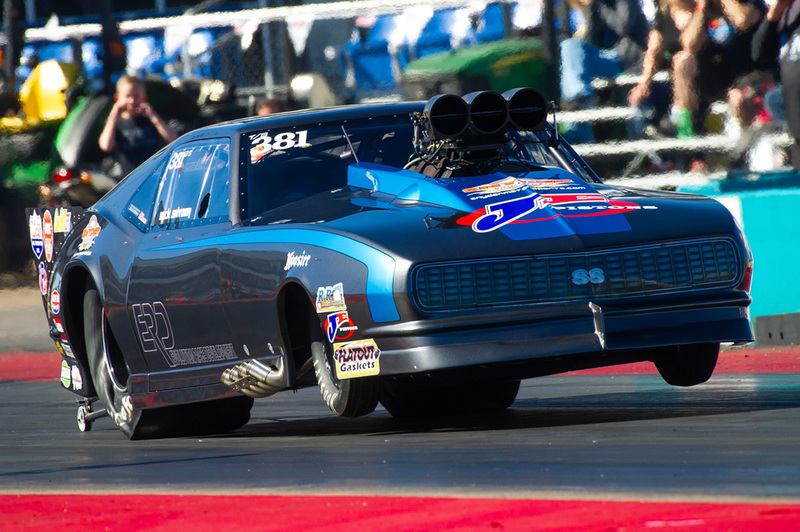 Weighing just 2,600 pounds with driver in NHRA trim (and nearly 200 pounds less when prepped for Outlaw), the 3,000 horsepower Brad Andersen Hemi gives this Camaro a hair-raising power-to-weight ratio. 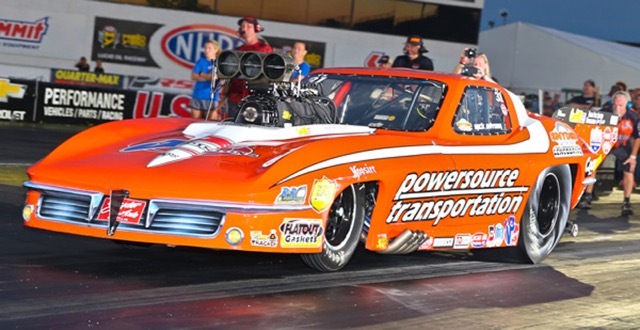 These days when Mick isn’t putting together boosted race engines he can often be found mixing it up in Outlaw Pro Mod as well as the NHRA’s Top Sportsman class, where he took the Division 3 championship back in 2016. 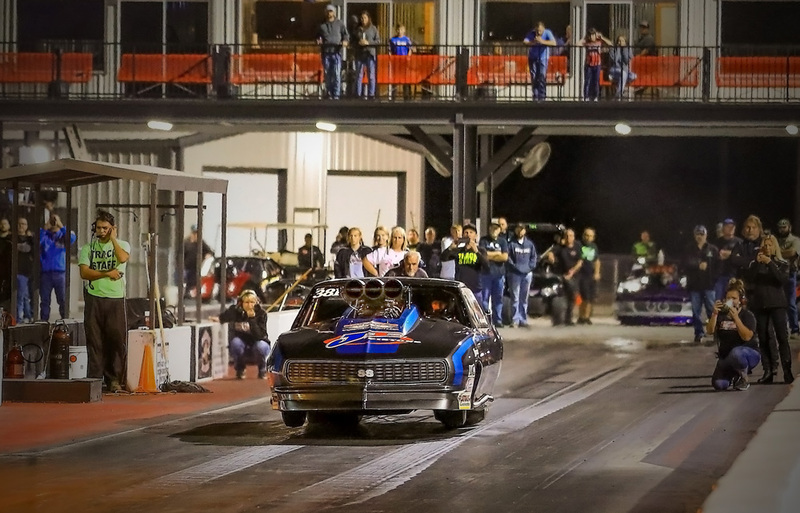 The apple doesn’t fall far from the tree, as it turns out, as his father has collected his fair share of victories over the years as well, including the IHRA Super Eliminator championship in 1999. The ’63 Corvette that Snyder Motorsports formerly campaigned was undoubtedly competitive, as evidenced by the Top Sportsman championship title they won with it in 2016. But after more than 700 passes the machine was starting to show its age, so Mick started looking for a new car to build; enter the Camaro. The cabin of the Camaro is outfitted with a Racetech seat, harnesses from Taylor Motorsports Products, and a fire suppression system from Safecraft. All the wiring and finishing work was done in-house at Snyder Motorsports. 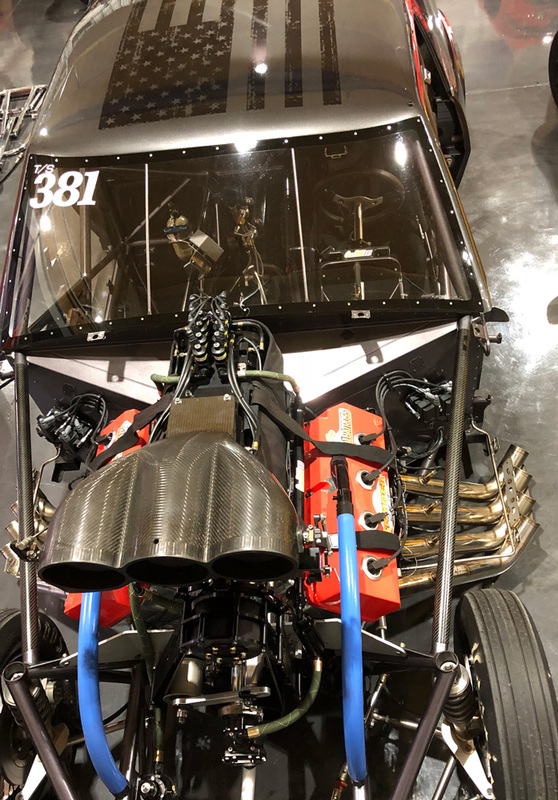 One of the championship-winning Corvette’s secrets to success was its Hemi powerplant and the unusual pairing of a Roots blower with EFI, a combination which made the jump to the new Camaro. The 477ci Brad Andersen block sports a Bryant crank, rods from R&R Racing, JE pistons, a Bullet Racing cam, a set of cylinder heads that Snyder Motorsports put together with the help of Visner Engine Development, and the aforementioned combination of a Chuck Ford 14-71 supercharger with ComSYNC EFI. “First it wanted to pull left, then it wanted to pull right,” Mick said of the initial teething issues the team had with the new car. But now that the chassis is sorted the Camaro heads straight down the track, and isn’t shy about lifting the front wheels while doing so. 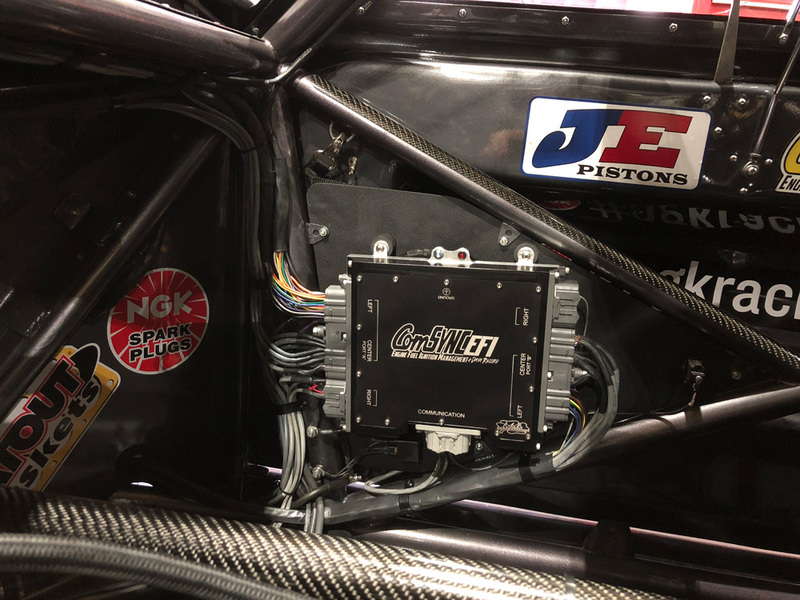 A ComSYNC EFI system allows the team to handle fuel, engine, and ignition management electronically. The system also takes care of rev limiting and shift light duties as well, along with data acquisition. While the Camaro has yet to beat the Corvette’s quickest time, both its 60-foot and trap speeds are already better, so it won’t be long before it eclipses the championship-winning machine it was built to replace.